Fri. #1 is HERE. To help the website out please subscribe to Mistah MegaManFan so we can reach 1,000 (current count: 824). If you're a gamer you'll enjoy the content. Don't miss Thursday Night AMP from last night! With the cheap plugs out of the way here's Friday's latest wrestling news. * Denzel Dejournette & MJ Jenkins defeated Luke Menzies & Deonna Purrazzo. * Kassius Ohno defeated Eric Bugenhagen. * Babatunde & Lacey Lane defeated Vanessa Borne & Kona Reeves. * Aliyah & Riddick Moss defeated Xia Li & Big Boa. * Jeet Rama & Kavita Davari defeated Raul Mendoza & Reina Gonzalez. * Rhea Ripley defeated Mia Yim. * The Street Profits & Bianca Belair defeated The Undisputed Era & Marina Shafir. 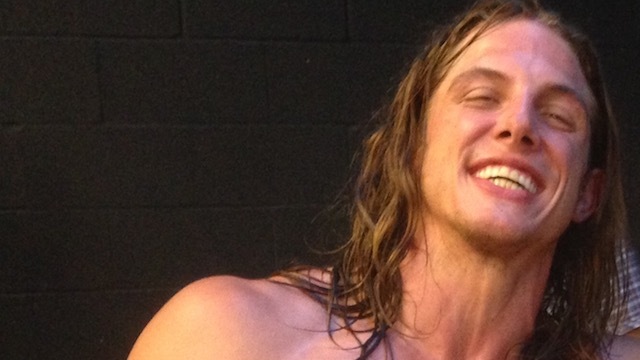 * The Velveteen Dream & Matt Riddle defeated Fabian Aichner & Marcel Barthel. I don't usually go out of my way to point things like this out, but since WWE released the Undertaker vs. Mark Henry clip seen below, I'll just go ahead and tell you that the dude wearing the red and yellow feather boa on hard camera for most of that WrestleMania was ME. In the words of the former Damien Sandow, "you're welcome!" I don't know what she's hoping to accomplish with this one but Lana's taking shots at Ronda Rousey on Twitter. Good luck with that.